One year later, and my cousin Gena sent me the cutest photo of her little girl, Edie and the baby blanket that I crocheted for her. I'm always rewarded when I see that the things I make for family and friends are put to good use! Edie, making good use of her blanket! 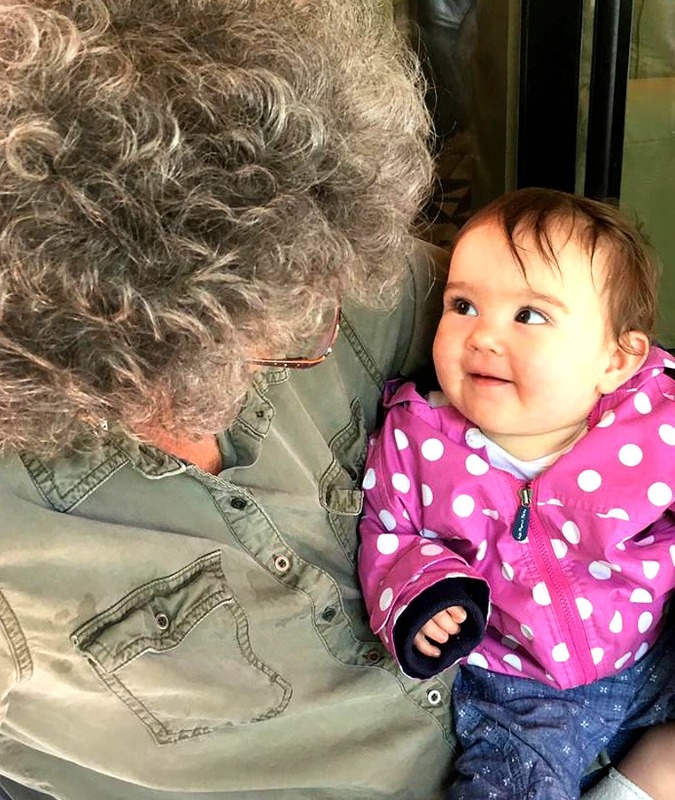 That Edie is one adorable kid! I LOVE those chubby cheeks! Edie definitely looks like her Mom Gena, Grandpa Andy and Great Grandma Metta! 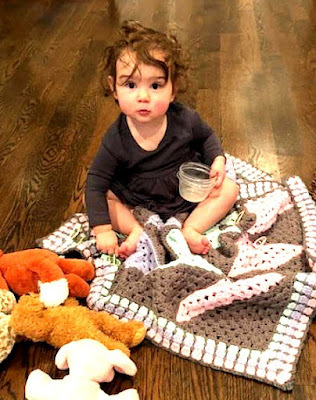 A reminder to Mom Gena...the blanket is machine washable and dryer safe! I'm working on a few more cuddly blankies right now! 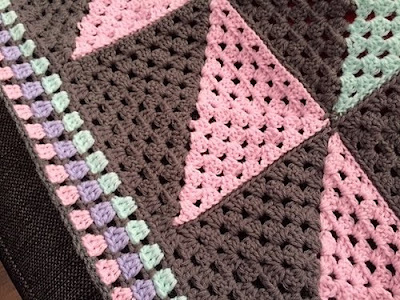 I used this tutorial to crochet the triangle squares. 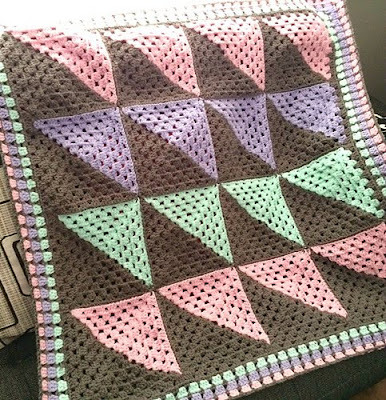 The blanket is crocheted with Red Heart "With Love" Yarn, worsted weight+, crochet hook size "I." I added the Chocolate Box Granny stitch around the edge of the blanket.